In recent years, the amount of Arctic sea ice has been declining , while ice in the Southern Ocean off Antarctica has been expanding . 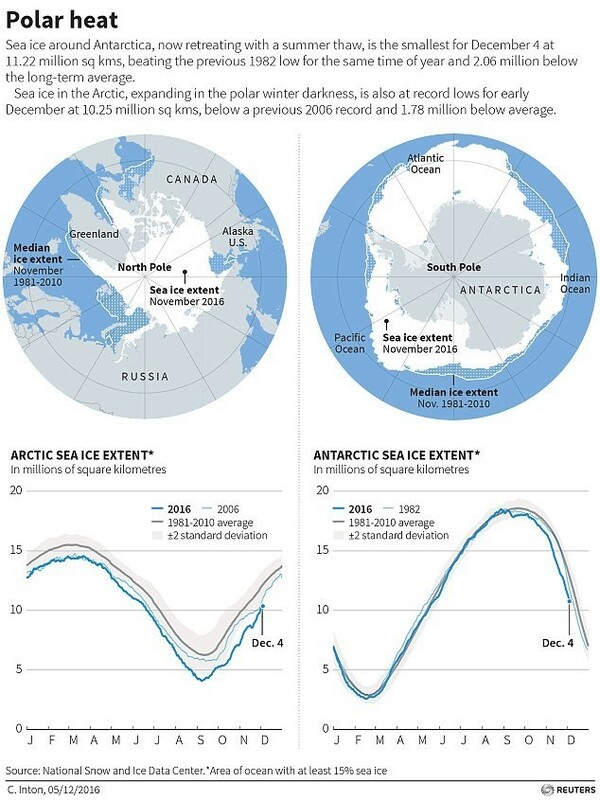 But in a worrying development, sea ice is now retreating at both ends of the planet as global temperatures rise. "There are some really crazy things going on," Mark Serreze, director of the US National Snow and Ice Data Center (NSIDC) told Reuters . Globally, 2016 is set to be the hottest year on record , and in parts of the Arctic temperatures were 20 degrees Celsius above normal some days in November, Serreze said. Scientists have been studying changes to Antarctica's ice sheets for decades, and are concerned that the region's glaciers could melt more quickly, contributing to global sea level rise . 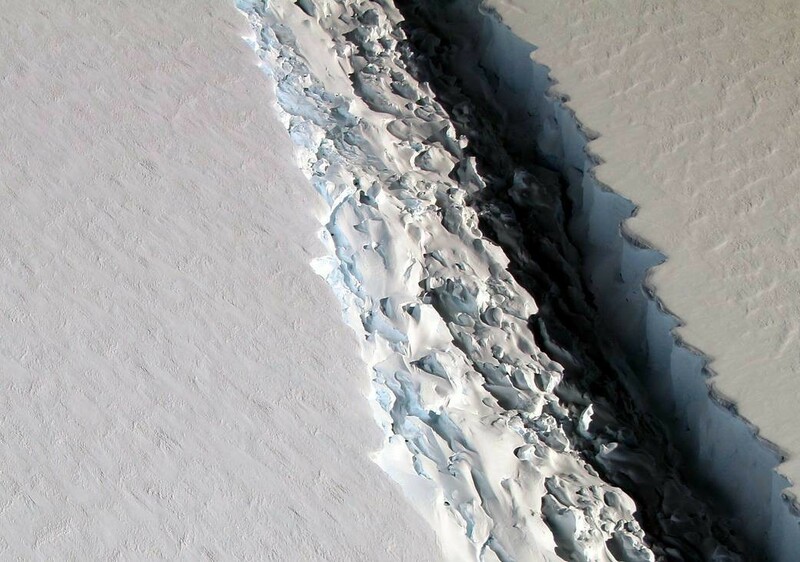 Back in 1995 and 2002, chunks of the Larsen Antarctic ice shelf , known as Larsen A and B respectively, collapsed. Now NASA scientists have photographed a huge crack in Larsen C , the last complete part of the shelf. The rift is about 113 km long, more than 90 metres wide and about a half a kilometer deep.